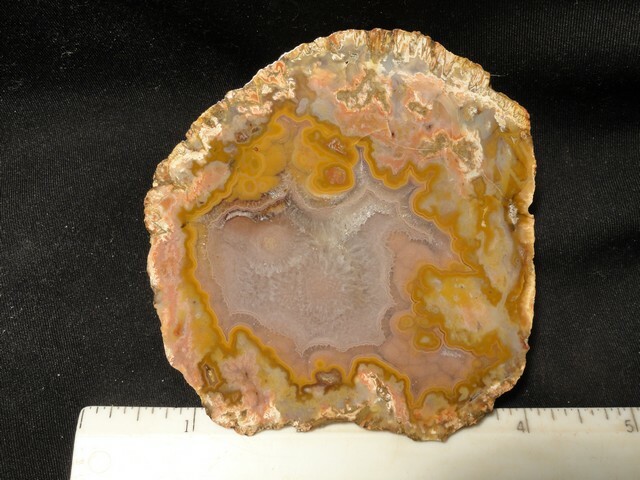 Dimensions: 2" x 2 5/8" x 1 3/8"
Dimensions: 1 7/8" x 3" x 1 1/2"
Dimensions: 4 3/4" x 4" x 2"
Notes: This is a great agate with good color and pattern and a fine drusy pocket to boot. 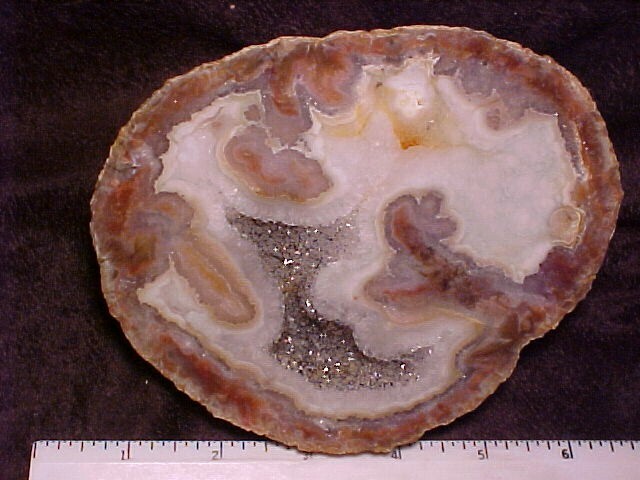 Dimensions: 5 1/2" x 4 1/2" x 2 1/2"
Notes: The fine pattern and drusy center combine with an excellent polish to make an excellent agate for your collection. 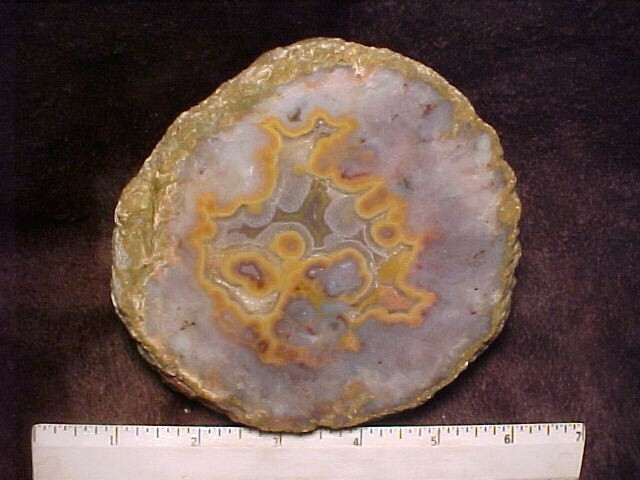 Dimensions: 5 1/2" x 4 1/2" x 2 3/4"
Notes: Here is a very fine Kentucky agate with nice pastel coloration and huge size. 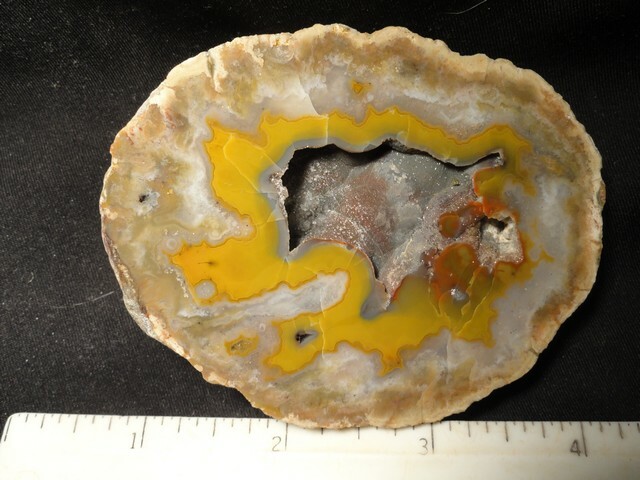 It is a winner. 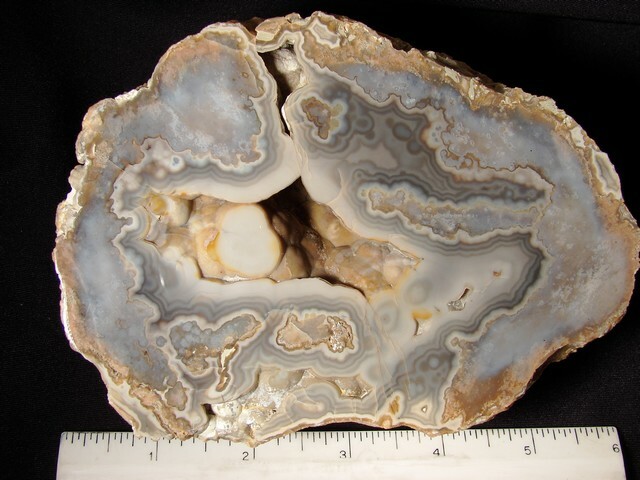 Dimensions: 3 3/4" x 5 5/8" x 1 3/4"
Notes: This is a wonderful, large Kentucky agate. 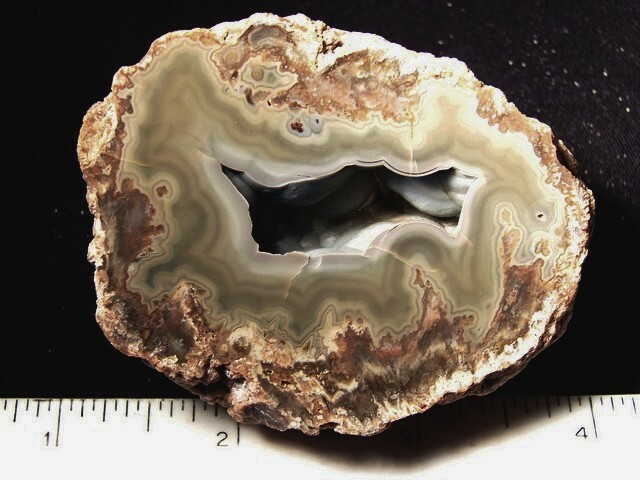 It would be a nice addition to any collection! 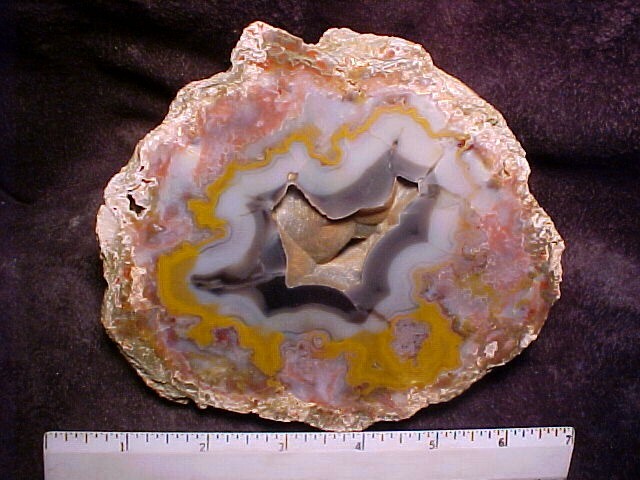 Dimensions: 2 1/2" x 3 1/2" x 7/8"
Dimensions: 3" x 4" x 1 3/8"
Dimensions: 4 1/4" x 4 1/4" x 1 3/4"
Notes: This is a rare agate with a fine pattern. 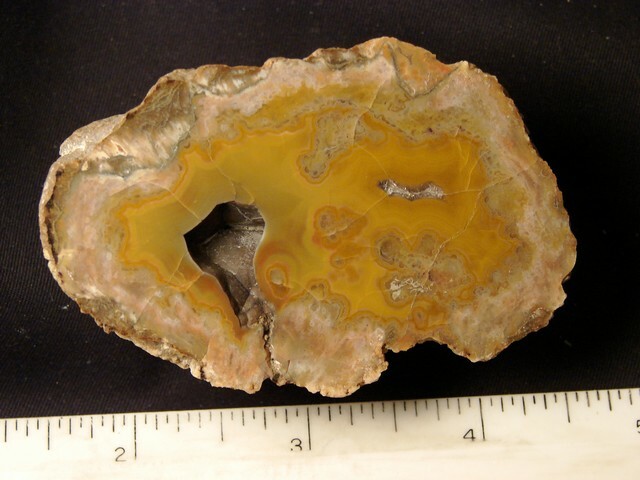 Dimensions: 3 1/4" x 3 1/4" x 1"
Notes: This is a fine Kentucky agate with a reasonable price. 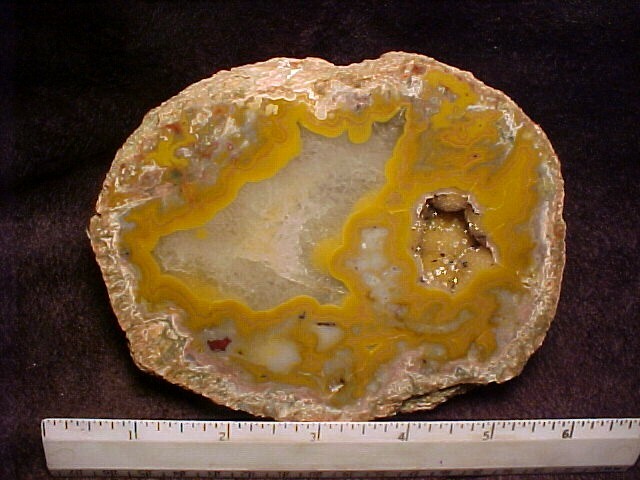 Dimensions: 2 1/2" x 3 1/4" x 1"